North of Seattle, Washington, on a bluff overlooking Puget Sound. 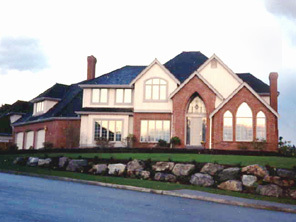 The design of sixteen houses in the four thousand to five thousand square foot range for a subdivision developer. We designed houses with spacious, typically American upper middle class interiors. The exteriors combined elements of French provincial architecture with the west coast ranch style.